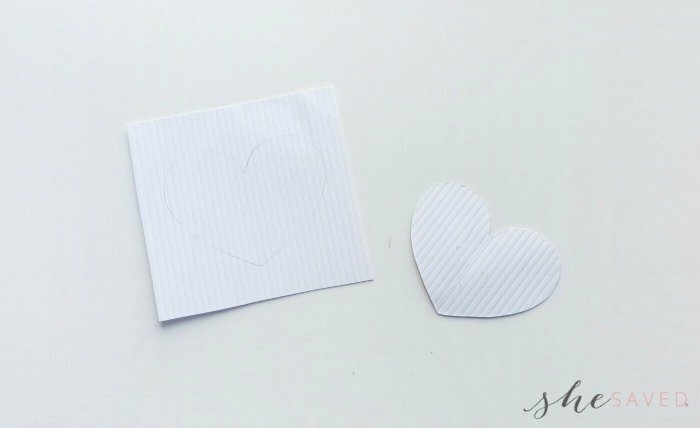 We’ve been loving paper crafts around here lately and they are the perfect project for homemade Valentine’s Day gift giving. 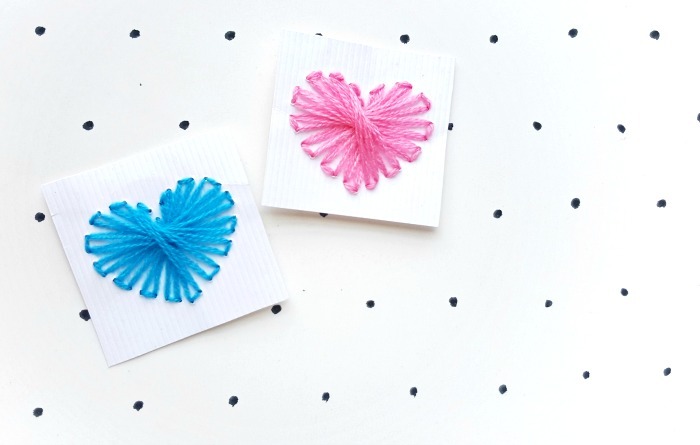 I’ve recently shared some of our other favorite crafty paper projects and this Valentine’s Day craft String Heart is so fun! One thing that I really love about it is that it’s something that takes very few supplies, but makes a neat little gift. 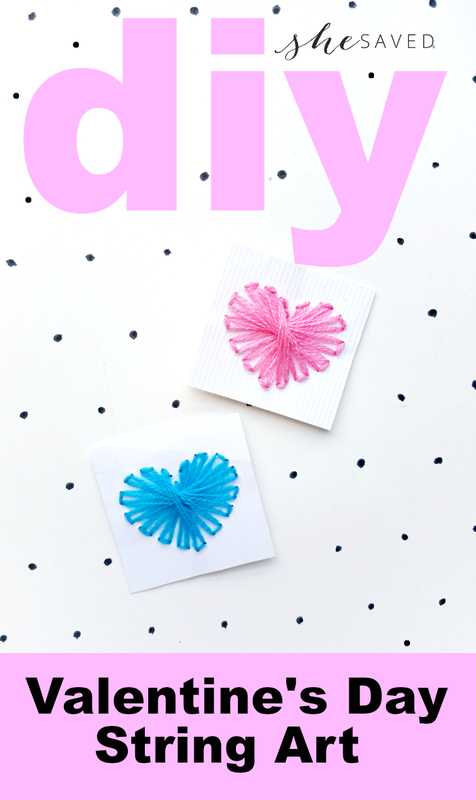 It’s also time consuming enough to be a thoughtful homemade gift but not so compicated that it can’t be done easy and quickly with little prep or supplies. 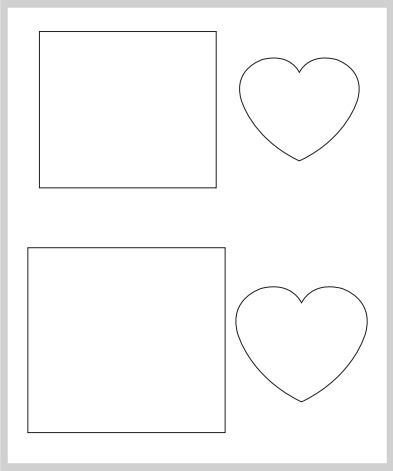 The template includes 2 different sizes of heart and square sets, choose the one you want and prepare the template. 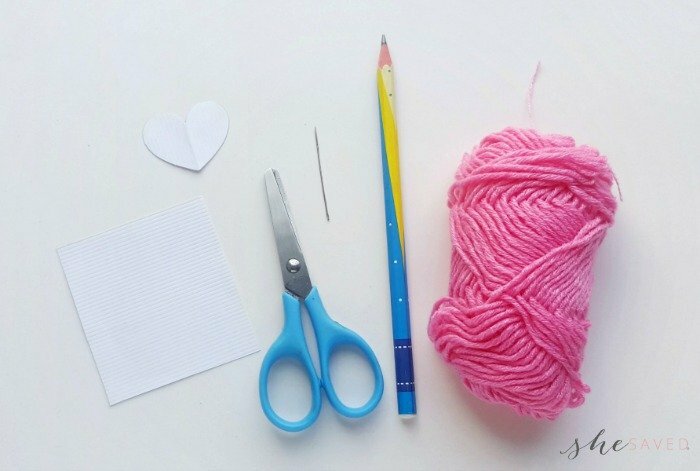 Trace the template patterns on the cardstock paper selected for the craft. 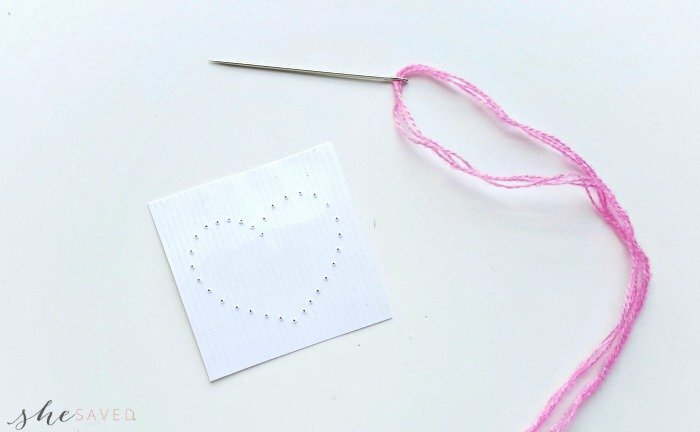 Trace the heart shape on the middle of the square cut. 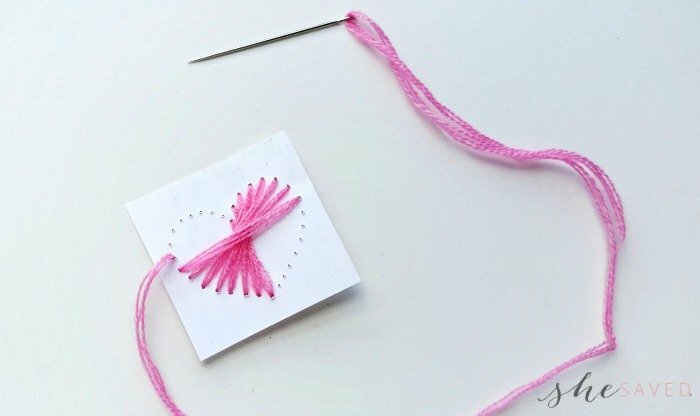 Use needle to pop small holes along the line of the traced heart. Keep at least 0.5 cm gap between each holes. Prepare the needle with the thread of your choice. Tie a knot at the end of the thread. Start from the bottom hole of the heart. Draw the needle to the front side from the back side. Pull the needle (along with the thread) all the way through. 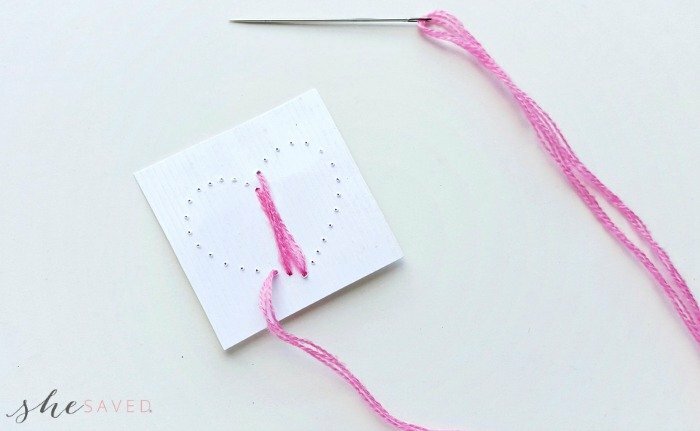 Draw the needle to the hole opposite to the current one and draw it to the back side. 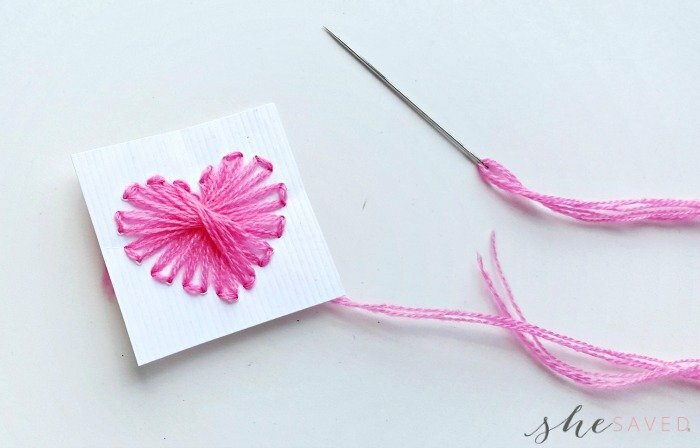 Now pull out the needle to the front, from the hole next to the current one (left or right hole; choose any one side to continue the stitch). Draw the needle to the hole opposite to the current hole again. Draw it to the front again through the hole next to the current hole. Keep the sequence of either left or right. I am doing clockwise stitching. Continue to repeat the steps (step-4 and step-5). 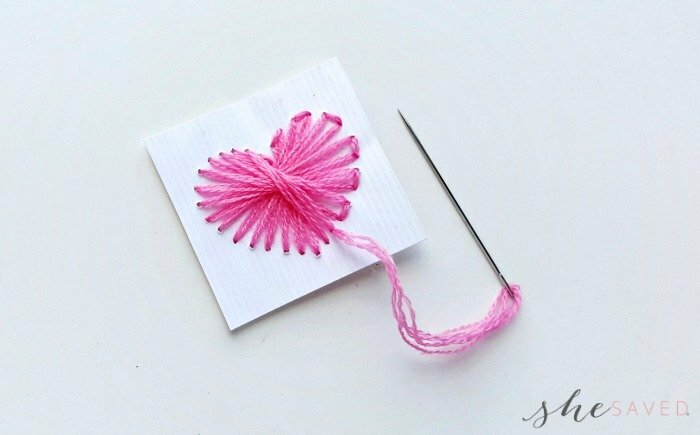 Continue to do this stitch until reaching near the first hole again. 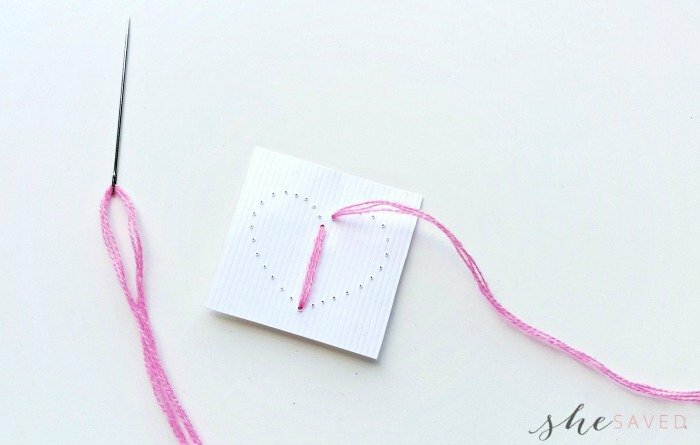 After reaching the first hole, start doing running stitch through the holes. 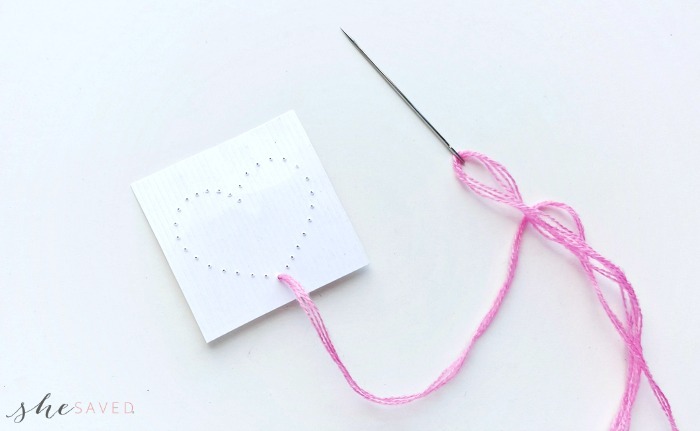 Doing running stitch through the holes creates a nice dash border around the stitched heart pattern. Done stitching? 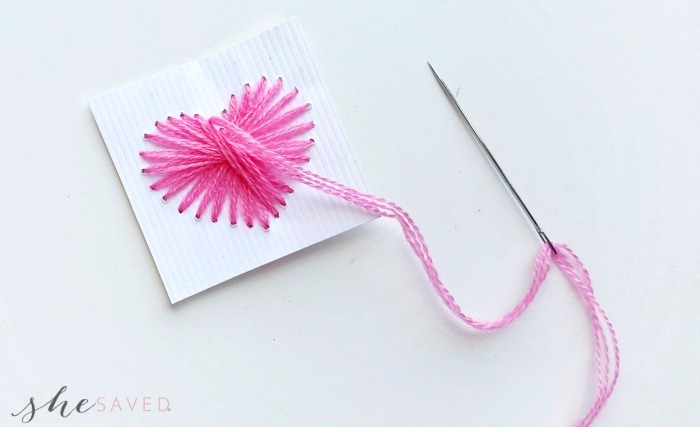 Draw the needle to the back side and tie a knot with any random stitch at the back side. Cut off extra thread and done!